We provide the highest quality refurbishing at a reasonable price! 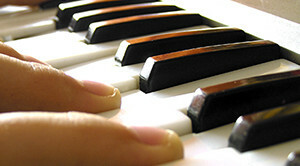 Make your older piano a joy to play again. We provide tuning by ear! 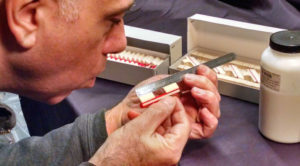 There are many factors of which all tuners are aware of that the electronic device is just simply incapable of doing. 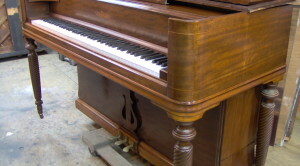 We do all types of piano restoration from brand name value to sentimental value. 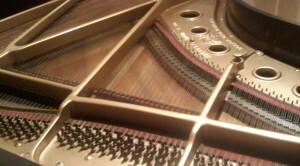 We use a special cleaning device that is able to get under the strings and pull all of the dust and debris from the piano’s interior. 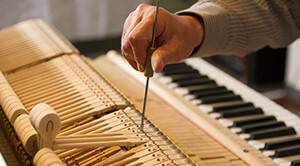 We have remedied many different repair situations from the best pianos to the not-so-great pianos for 32 years now. 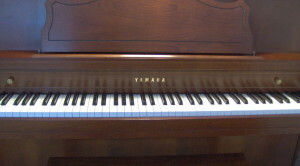 Pianos are highly unique even between the same models. We evaluate everything down to the last detail.